English teachers looking at critical literacy in Queensland can require their students to explore stereotyping in Australian media. What better place to start than television advertisements? There are, at last count, 480 Australian advertisements reviewed on this site, available through the Australia filter. Each of the ads listed here is written up, with a YouTube link, and in many cases has details about where to download the video. Click on the links provided (dotted red line indicates a hyperlink). 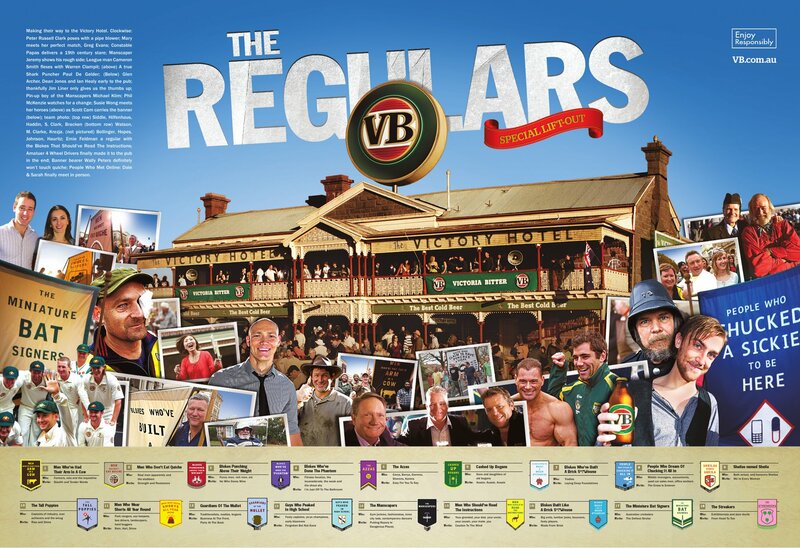 The best place to begin is with the VB Regulars commercial, written up here. Carlton MID Bloke Bots, Hahn Premium Light Gondola, Carlton Midstrength Sheds, Carlton Draught Big Ad, Castlemaine XXXX, Carlton Draught Canoe, Tooheys Tall Men. Ford Courier Barbecue, Honda CRV Dress For It, Ford Ranger Legendary Tough. Lipton Ice Tea Beach, Hahn Premium Light Gondola/, Lynx Jet, Natures Organic, Drumstick Summer Ritual at the pool, Hahn Super Dry Love Heart, Bundaberg Rum Bundy Bear, Lynx Jet Award, Antz Pantz Sic Em Rex. Coke Zero Bus Surfer, Hahn Spa Bomb, Nandos Ruffle Feathers, Real Aussie, Robbo Gets Start Mortgage, Steve Irwin Quarantine, Farmers Union Iced Coffee History. MTV Budgie Smugglers, UN Badmouth, Finnish Sauce. Red Meat Evolution, Sam Neill on Instinct, Sam Kekovich Vote Lamb. If you’d like some help with this use the contact page.